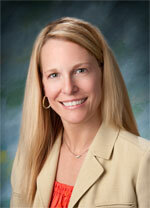 Monica Plaxton Garin is the managing member of Charleston Insurance Group. Ms. Plaxton Garin is committed to providing quality service to her clients. Honesty and reliability are the cornerstones at Charleston and keys the success of our clients. Ms. Plaxton Garin grew up in Oakland County, Michigan, where she graduated with a B.A. in Pre-Law Social Sciences from Michigan State University. She continued her education by receiving her Juris Doctor in 2001 from the University of Detroit Mercy School of Law. Ms. Plaxton Garin is a licensed Producer in Nevada, Michigan, California and Arizona and a licensed attorney in Michigan. Ms. Plaxton Garin is a member of Professional Liability Underwriting Society (PLUS), the American Bar Association and Michigan Bar Association. She also serves as the Chair of the Board for Sunrise Children’s Foundation, founding and committee member for Las Vegas Fashion Council, member of Circle of Red for the American Heart Association, and a member of the Women’s Leadership Council United Way of Southern Nevada. Ms. Plaxton Garin was also honored with the 40 under 40 recognition in Nevada in 2014. Charleston Insurance Group serves as a Corporate Partner for the Association of Legal Administrators in Nevada. In her role as a commercial defense litigator, Ms. Plaxton Garin regularly counseled clients on all aspects of professional liability claims, real estate law, title insurance defense and premises liability claims. She also managed and conducted litigation matters involving title insurance, professional liability insurance, architects and engineers, landlord-tenant disputes, construction defect, real estate law and premises liability. Her experience as a lawyer is a benefit you can count on with Charleston Insurance Group.